PAM: Welcome! 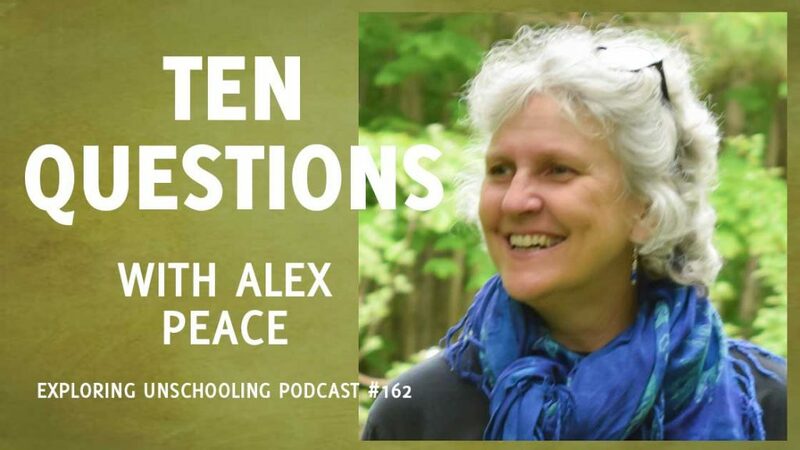 I’m Pam Laricchia from livingjoyfully.ca and today I’m here with Alex Peace. Hi, Alex! Alex, can you share with us a bit about you and your family and what your kids are up to nowadays? ALEX: Sure. I have three daughters and they are 26, 24, and almost 22. 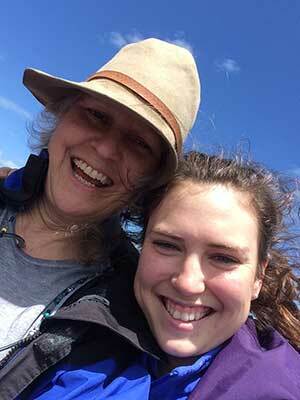 My oldest daughter is doing a Masters in Community Development at the moment. She got her Undergrad in Biology and so now she’s looking at the social license of title energy. So that’s pretty fun and pretty interesting. My middle daughter travelled a lot, and farmed, for quite a number of years and now she’s settled into second year University doing an Undergrad Science degree in Sustainable Agriculture. And that’s lots of fun. She wants to be a farmer, thank goodness! Somebody to feed us! My youngest daughter is a dancer and she has been at school. She took this past year off is thinking about going back to school and getting some work as a dancer. And she’s heading off to Mexico in a week for some Spanish lessons, down time, time to explore herself in Mexico. So, I get to go and visit her. I love it, having kids that travel and who still want me to travel with them. So, that’s lots of fun. Peter is still working full time, playing lots of music. I actually don’t even know how many bands he’s a part of anymore. This holiday he built a still for one of the girls because of – not for alcohol, for essential oils. So, he’s having lots of fun with that kind of thing, and sailing in the summer. I am working, working, working. Working. Working lots. PAM: Having fun doing that? ALEX: Having fun doing that? Yeah. Everyone was home over the holidays. Caitlyn lives in town so she doesn’t come to stay for extended periods but usually over the holidays she does come for a few days so that she can hang out in the early mornings and late nights as well. And everybody’s in the home at the moment. And there’s an extra dog! PAM: Yeah, I mentioned earlier we’re at three dogs now too so that’ll be interesting. ALEX: I have two dogs and my daughter has a dog that she brings home when she comes and I also get to puppy sit him every third weekend so that’s lots of fun. So, my dogs are sort of learning how to be young again. I’m not entirely sure if they’re thrilled with the process! 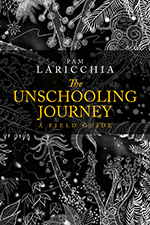 Can you tell us how you discovered unschooling and what your family’s move to unschooling looked like? ALEX: Well, I guess my earliest exposure to the idea was at La Leche League so many years ago. It must have been 26 years ago. There were so many people in the group. For most people La Leche League you go four, maybe five times as sort of a series but I went for five years. And I didn’t even have any trouble breastfeeding! But it became a support group. And there were people there who were home schooling so I was exposed pretty early in my kids’ lives to the idea. And it wasn’t really hard for me to think about. I was thrilled to see that there were options. I didn’t have a particularly good time at school myself so when I realised, “Oh, there’s options for my kids. I’m not gonna have to do this” (you know, send them off to school) I was pretty interested. But when it came time for school, when Caitlyn was four or something, and people were starting to talk about school for her—we, Peter and I, did a lot of research into what was available in the area. We researched Montessori and Waldorf and that kind of thing, and we read and read and read. And in the end, we decided to give home schooling a try. 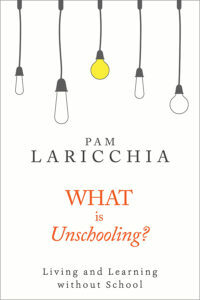 I don’t remember when the separate concept of unschooling came up to us. Probably once we decided and did the research when Caitlyn was around three or four it would’ve risen. And once we decided to do it, I was on those lists. And I was writing it down and I couldn’t remember the name of that original list? That Sandra and Anne and Joyce and you and Amy. It was before Shine and I can’t remember the name of the list. PAM: There was a board. 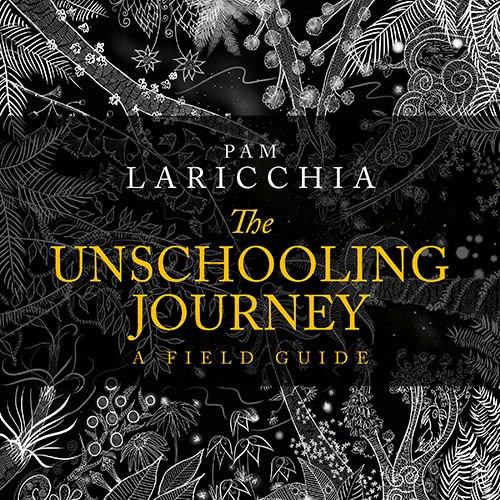 The unschooling.com forum. ALEX: That was it, but there was another one before that even. PAM: See that was before my time even. Because my oldest is 26 too but he was in school for a while before I discovered unschooling. So, you found it even earlier. ALEX: Do you remember the conference in Peabody, Massachusetts? Did you go to that one? PAM: Yes. That was Live and Learn maybe. ALEX: Live and Learn. Yeah. Anyway, so we read. We read so much. 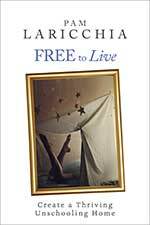 We read John Holt and all the information we could get about learning, about home schooling, about unschooling. And then of course once Anne started Shine with Unschooling list and we were there, right from the beginning. Went to conferences, came to your conferences—all that kind of stuff. Yeah. I guess that’s how we got in there. PAM: Never went to school, you guys just kind of kept going when they all hit school age? Is that kind of how it went? ALEX: Yeah. Caitlyn did end up going to school mid-way through high school. So, she went half way through Grade 11 and 12. She got a year and a half of high school. And Adrian went half way through Grade 10. But because Caitlyn went at that stage, she didn’t have enough credits to graduate. But she got all the courses she wanted to, to get into the program she wanted to get into. So, even though she didn’t graduate she went straight onto University, and to Science. When Adrian went it was really – I still can’t really believe this, it was quite amazing – they said, “Oh, well do you want to graduate or do you want to do this Caitlyn-style?” And she said, “Well, I don’t really care about graduating.” So, that whole apparatus that normally comes down that says, ‘You must take X number of Englishes and Maths and you must do all of this stuff,’ it simply wasn’t there. So, she went and took her first semester in Grade 10. She took Grade 12 Food Science, Grade 11 Oceans, Grade 11 Art, Grade 11 Drama. She basically took whatever she wanted. So, in the end she did end up graduating because somewhere along the way she did decide she wanted some basic English and Math and by the time she finished doing that she had all the courses. And she graduated and promptly didn’t go to school for another five years or something. She worked and travelled, and worked and travelled, and worked and travelled. She’s travelled all over the world. And then Nickel, was dancing early. And by the time she might’ve thought like the other girls did, “Oh, do I want to go?” She would’ve had to give up a lot. She was already driving into Halifax four times a week and coming home at eleven or twelve at night after classes. So, she would’ve really had to give up a lot to go to school and it just didn’t fit. And so, her first day at school was at University. PAM: That’s always an adventure. I love how unique it was for each one of them, right? It was just them pursuing what they were interested in, what they wanted to do, what they wanted to try out, what they wanted to play around with, and just making it work for them however they wanted. That was beautiful. ALEX: That’s one of the things I love about my kids. They’re unique. They’re really quite different among the three of them. And they all follow their own path really distinctly, and yet they’re all really close. PAM: That’s something that I’ve noticed as well, that’s just when they can pursue what they’re interested in and encouraged it’s amazing how different they all are right?! PAM: But again, they’re also connected. That’s very interesting. What did you find to be the most challenging aspect of deschooling – those first few years as you moved into it? Anything? ALEX: Well, honestly… neither of us, and certainly the kids didn’t have to deschool because they weren’t in school or in daycare or in any of that sort of institutionalised kind of setting, and Peter and I didn’t really have to do an awful lot because like I said I didn’t particularly have a good time at school so I was thrilled that there were options. I don’t think it was a huge challenge but I think there were bits. Like I think at the beginning we might have flirted with the idea of workbooks and flirted with unit studies and that kind of stuff. And then, we didn’t. We stopped. ALEX: Didn’t fit, yeah. But it wasn’t really hard. And also, it’s kind of funny, we live in rural Nova Scotia but it’s really quite well supported. When my kids were young and we’d be in line up at the grocery store and somebody would say, “Oh, no school today?” and I’d say, “Oh, no we home school.” Nine times out of ten they’d say, “Oh yeah, my cousin does that,” or “Yeah my neighbour does that.” So, it wasn’t really hard to do in our area. PAM: Well that’s really, really cool. Yeah, because that was one of the reasons why I had never even heard of it until my eldest two were full time in school. And when I mentioned it, that we were, our whole community, everyone I knew, family, friends, everyone, and in the area thought it was illegal. It was, “What do you mean you can do that?” So, I love that, that’s great. What about your husband’s journey? PAM: You said it wasn’t such a big deal but he’s a university professor, isn’t he? ALEX: Yeah. But I think school had sort of not worked out all that well for him in the early years, just primary and secondary. So, I think it was easy for Peter too. And I would do an incredible amount of research and I would talk to Peter about it which was slightly annoying because when things were not going particularly well, I’d be in the middle of trying to figure things out, and he’d bring back one of these things I had read and he’d say, “Now what about this?” He was always very good. He was in pretty early on. PAM: Well, that’s very cool. And I think that is, for me, that was a huge piece. You mentioned paying attention to the kids and seeing it in action because I think for a lot of people that is the big piece, right? Realising all the learning that happens that doesn’t look like school. When we think that’s what learning’s going to look like and we go, “Oh, hey we have options” and then you pay attention and you look, and then you see it everywhere don’t you? So, next question! 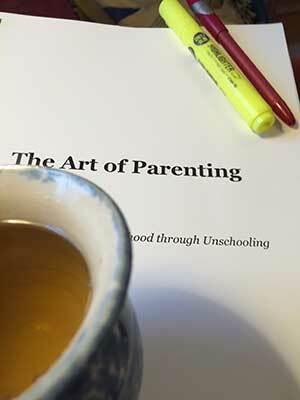 When it comes to unschooling, trust plays a really big role. That’s usually kind of the next step, right? As you’re, first you’re looking for the learning because that’s the important piece because that’s what you think you’re replacing because you’re not going to school. And then you get comfortable with that piece and then trust becomes a much bigger thing in your lives as you dive deeper. I was wondering how you developed that deeper level of trust with your children? ALEX: Well I think this was one of the questions I was stymied by because really, it’s just part of developing a relationship with them as people, that it’s not a separate thing. It’s just part of developing the relationship and talking and listening and thinking and facilitating and just being with your kids – you know? PAM: Yeah. It’s like you said, that trust comes because you know your children. Even as they’re all different as they’re completely individual, but when you’re actually in relationship. When your relationship becomes two people versus Parent/Child. When you move from that control Adult/Child relationship to that connected, person to person of different ages relationship, you do get to know each other so well. And then so much of what they do isn’t a surprise any more. It isn’t completely unexpected, where you have to worry about, “I need to trust this because I completely don’t understand it”. And then when you start relying on that sometimes the tendency is to step back, right? Then you’re even less connected. And then it spirals into a bigger and bigger deal. And in fact, I always found that whenever I had those more freak-out moments like we were talking about earlier, it was because I was less connected. PAM: That is such a great point. Because if there’s this one thing over here that you’re really uncomfortable with and you don’t quite understand it yet, you’re right, you want to get closer, you want to remember to lean into it. But you don’t have to jump into that mess? ALEX: Yeah. I do tend to need the discussion. I guess I’m not as good at the insights just coming to me! I do tend to need the discussion but the discussion has to come later when your connection is back. You have to make the connection stronger again before you tackle anything that’s tricky.PAM: That’s a good point; it’s not that that you ignore it. It comes up in different ways rather than always needing to jump into it head on. Okay, so! That leads nicely into the next question. Was there a time when one of your kids’ interests really stretched your comfort zone? And I was wondering how you moved through that. ALEX: Well I don’t know. This is what came up for me. It’s not exactly an interest but a couple of my kids read very late, and so it was something that really stretched me as an unschooling parent. For a while I sort of did a lot of reading about reading difficulties, particularly online reading other parents’ anecdotes. And then at some point, two things happened. One was that I was flipping through a book about Dyslexia or something, and it was an academic book; it was studies of various things. And I sort of went straight to the – What’s the Biggest Problem? And it said, the biggest problem is how people feel about their reading issues. It can become an emotional problem. And I was like, right, so okay, we don’t have to go there. That’s easy, that’s under control. So, I then pretty purposefully did not look any further into reading difficulties, I worked really hard at creating an atmosphere of, “Well, this is the way it is and you need me to read to you so that’s the way it is. We’re going to read to you, we’re going to read for you”. And maintaining that, “This is just normal.” So, it was kind of cute. If we were out with a big group of home-schooling kids and everybody just read out loud. Any of the things. It just wasn’t a big deal in our group. But there were some issues with some family members, and so I just really set up some boundaries. And what I felt like was, I kept the world at bay until they learned to read on their own. That was one of the things that I felt good about. PAM: You kept that, buffer is probably the best word for it right? You kept them in situations where it wasn’t a big deal, and where it would have been a big deal like back to that researching the emotional piece. You took that and focussed on that and just didn’t go into those situations. ALEX: Yes, and the other part of it, the by-product of it was that I got to read to my kids for years. Which is fabulous! We read a lot of books, out loud. So that was fun. 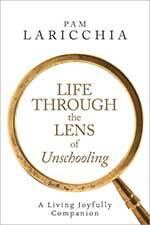 What surprised you most about how unschooling unfolded in your lives? ALEX: I think two things. One is how bonded my kids became. And I think it surprised me because I don’t have great family relationships. So, when my kids were born, I was like, “I really want my kids to be close.” And I was kind of trying to make it happen, you know? And it so wasn’t happening! And eventually I learned, I’m slow, that really, it’s none of my business. My baggage about my relationships has nothing to do with my kids. And I just had to leave them be and let them have their own relationships. So, I didn’t have high expectations of what would happen because A: I mucked about and B: Who knows what was going to happen? Like I said I didn’t have good experiences myself. So, when they did eventually become very close, I was A: Surprised and B: Thrilled that they had come to it on their own. ALEX: I wasn’t as surprised they’d come to it on their own but I was thrilled they’d come to it on their own. PAM: That was a big revelation for me too actually. I ended up writing a talk about that called A Family of Individualsbecause at first you want this dream of this close-knit family and everything. And so, you try to pursue that, but when you try to put that on other people, you’re actually making it all worse! ALEX: Worse! Much worse! Much worse! PAM: And so, I found, when I ended up like, ‘Those are my own dreams, those are my own thoughts.’ And you realise you’re putting all these expectations out and you can see the negative reactions. Then when I stepped away from that and just started treating them as the individuals they are, then all of a sudden, yeah it wasn’t about them against each other, or having to push against or anything. Everybody was getting all of the support and the attention that they wanted. I remember you had edited that at one point, when I’d said, “Sometimes one wants more money, someone needs money to pursue their interest. Sometimes they want more of your time.” So, it’s differing things that you’re doing for each child but it’s all fair because it’s meeting their needs. So, for each one of them it’s meeting their needs. I remember. I replied at one point saying, “What if it’s one child who needs all those things at once?” And that’s totally good too. ALEX: It is, it’s the way it is. So, the other thing that is surprising for me, was how much fun it was and what it did for me. I mean, when I was growing up, I lived in a house that with older parents, all my brothers and sisters were gone so I kind of lived without siblings much. And my parents were British so quite… well, it was a certain lifestyle. I don’t even remember having crayons. You know what I mean? Maybe I did, but… So, with my kids, I bought art supplies and I got to do all the fun art things as well. And taking them to museums and art galleries and beaches and travelling with them and experimenting with them and reading to them and dancing with them! Those were all new experiences for me. So, it was so much fun. And I found that, it’s pretty amazing. I didn’t go into it for the fun but, boy it was fun! PAM: That’s wonderful. I love that piece. Because it’s so true, right? We get to. I remember that first year, it was a lot of releasing my view of what an adult should do and how an adult should act. And realise that I can just be a person and actually sit on the floor and play with them and have fun with it. And bring in all sorts of things that I think will be fun. Whether they join me or not, we’re all like, side by side playing right? 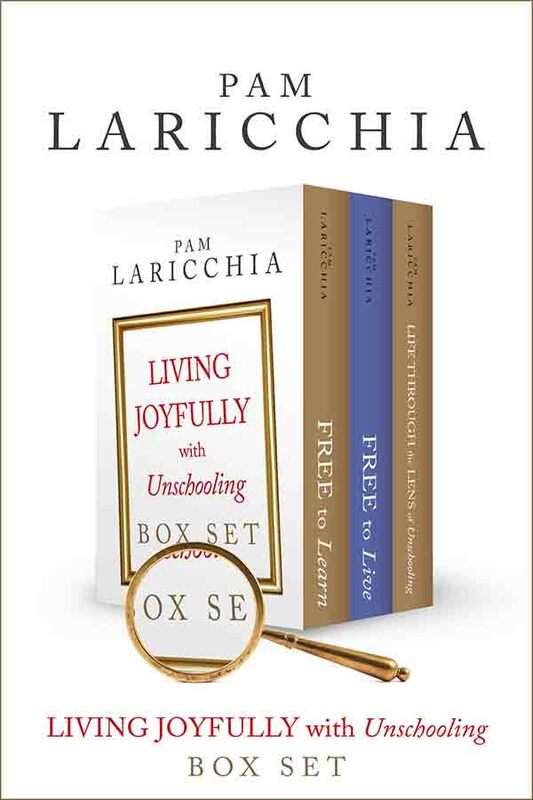 PAM: Okay, so as your children got older and needed less of your hands-on involvement, you began a career as an editor and in fact you have edited all my books and it has been a wonderful experience working with you. I was very curious how that interest developed and we talked about how we wove that into our unschooling days when we first started working together. ALEX: I know. I was thinking about that and Oh My God that was amazing. So, it started when my youngest started to be a teenager and I could sort of start to see, ‘Alright, there’s going to come a time.’ So, I wanted something that paid, I wanted something that I liked. I wanted something that I could do from home because I couldn’t imagine after living in the country for eighteen years, working in an office that was grey and no windows. So, I wanted to work from home. But I also I wanted it to be portable, because Peter can travel sometimes. I had all these criteria. I don’t know if I was able to delineate them but they were definitely floating around in there. And then I was at a knitting group and a friend at knitting group said something about being an editor. And I was like, “What? 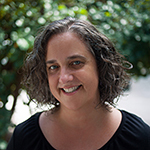 You’ve got a Math Degree, how can you be an editor?” and she’s like, “You go take courses. What’s the matter with you?” And I was like, *gasps*, my brain just exploded because I don’t know, I guess I’d always loved words but I thought you had to have a PhD in English and I’d never taken an English course you know? So, I ran home, looked at the editing courses. I don’t know if anyone can understand how much joy there was in my life when I could see that I could take a grammar course. I was like *gasps*, “Wowwww!” There’s lots of online courses. So, I started taking courses at Ryersononline. There’s a Post Undergraduate certificate. So, you have to have an Undergrad degree and then you can get a publishing certificate. And I think you have to take eight courses or something and there’s two that you have to take and then you can take a bunch of electives. And the two that you have to take looked a bit boring, Publishing in Canada. Yeah, whatever. I dived right into Copy Editing. I thought, ‘Well I want to see. Maybe it’s not for me. So, I’m taking Copy Editing right away. And then I’ll know. And if I have to take the boring survey courses, I will later.’ So, I took the Copy Editing course but we were still pretty involved with the home school and unschool community so I remember you were like, “Yeah, so I’m writing a book” and I was like, “Wow!” And I remember writing to you and saying, “Hey, you’re writing a book. Do you need an editor? 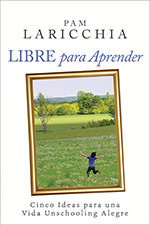 I just finished a course.” And you said, “Yeah, sure!” It was so fun! It was just, “Oh okay, yeah!” Let’s figure this out together. And it was so fantastic. I cannot tell you how amazing that was for me. It really started me off. I’d taken the Copy Editing course and you gave me the experience right? Then when other jobs came up, I could say, “Yes I am a Copy Editor.” “I’m supposed to have just taken a course!” Yeah, so I took the Copy Editing course, and then I continued on and took Proof Reading, Indexing, Structural Editing, Children’s Editing. PAM: Did you take those two boring courses, eventually? ALEX: I just kept taking the courses and thinking, “I don’t even know if I need the certificate”. So, I finished all of the courses and all I had to do was the two boring courses and I thought, “Well, what the hell?” So, I took them and I so didn’t enjoy them. I was right. I did not enjoy them. One was on the Education Publishing section of Canada. And let me tell you, that class got an earful! I had a lot to say about editing text books and about how the education sector works! I remember one time, I was at a conference and trying to do a paper for the course and my roommate at the conference, I was like, “What?! No! This is so wrong!” I was yelling at the computer when I was finishing my paper. Anyway, I did that first and then I did sort of the General Publishing and it was okay, whatever. I got the certificate. I don’t know if the certificates have done anything for me because I just got more and more work as I was going along. And I’m now working full time as an Editor, Proof Reader, Indexer. Indexing has really taken off. I do more Indexing than Editing now. Although I was looking at my stats. This year it was about Sixty/Forty; for Indexing to Editing. But the year before it was actually more Sixty Five/Thirty Five. I did more Editing this year but I do a bit of Proof reading. I like it but it doesn’t come my way as often. I do a little bit of Fact Checking. And it’s a blast. It is so much fun. Because essentially, I love learning that’s really is what it comes down to. So, I’m learning the content of the books that I read. I’m learning the software that I use. How to be efficient. I’m learning how to be a small business owner. I’m learning all the time! ALEX: Always learning, yeah. Learning how to be better at my craft, taking Professional Development courses and webinars things. So, I’m kind of learning all the time. It’s lots of fun. PAM: So amazing. It’s been lots of fun to watch you. And I wanted to just mention to people, like that first book that we did, because our youngest were both in their teens but we were still full on unschooling with our kids, right? And this is Free to Learn we’re talking about. And it’s not a long book. It’s very meaty I will say! There isn’t a wasted word in there. ALEX: No. But it took us forever didn’t it? PAM: Exactly. That’s what I wanted to let people know. Because that’s one of the things I love working with unschooling parents, and I do it with transcribing the podcast etc. But our families were always the Number One thing, right? PAM: Yeah, and sometimes it would be like, a month or two, right? It took like, a year, to do. PAM: I thought this is how it goes! ALEX: “I thought this is how it goes.” Exactly. PAM: That was spectacular. And it was just so lovely to have you involved, it was really important to me that you were an unschooling mom because then the feedback that I was getting, not only was it fixing all my grammar but it was great questions like, “I’m not sure what you’re saying, I don’t think you’re getting your point across here.” “Do you want to add something to this?” or “This is getting repetitive.” Whatever. You could also add value that way so it was, for me too, an amazing experience on my side. So, thank you. Okay, Question Nine of our Ten Questions! And I think we might’ve touched on this but let’s dive in and see if you’ve got anything to add. Now that your children are all young adults, in what ways are your relationships the same and in what ways are they different? PAM: Yeah, you’ve gone to some great/interesting places over the years, haven’t you? ALEX: Yeah. I think the thing – and I don’t know if you’re experiencing this and it’s going to sound sad but it’s not really – is that when they’re really little you’re doing most of the leading. And as things change it becomes much more equal. They’re saying, “I want to learn about this”, you’re following them and then it’s back and forth and you say, “Oh, what about this?” and they say, “Sure!” And there’s sort of a back and forth. But I find these days I think I’m starting into the third phase where – well, then there was them leading all the time – but, I think now I’m into the phase where – and I don’t know how to say this without being negative but it’s just the way it is – they’re not leading me. They’re off. Do you know what I mean? The phrase that I’m looking for… the phrase that comes to me is that I’m being left behind. And that sounds negative but I think it just really means that the relationship is different again, and they don’t need me to be even as much of a part. They’re letting me know. PAM: There’s parts of their lives now, that we don’t know a lot about. ALEX: “Hey mom, I’m letting you know… Just so you know!” I can see that coming more and more and more. PAM: Yeah. And you’re right. It’s absolutely not a negative thing. It’s still dancing with them, the relationship. The back and forth, and everything. But, you don’t…. here, we’re both stumbling on it! we’re not needed as much? PAM: It’s just a natural progression of the relationship. And them just being more and more centred in themselves. PAM: And I mean, two of my kids still live here but I still see that. I think it’s a part of growing up and being adults and everything and adulting their own lives, right? It doesn’t matter literally where they’re living or anything, that’s just another transition. And it doesn’t mean you’re not close and it doesn’t mean you’re not connected, it’s just a different way isn’t it? PAM: Oh, that’s beautiful. See, you had a really good answer to that question! 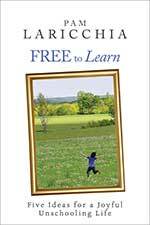 Looking back what for you has been the most valuable outcome from choosing unschooling? ALEX: Outcome? Well, I missed that word. Alright, the most valuable thing I think, in retrospect – you know everybody when you start you’re thinking about the school part of it and gradually you abandon that and then you just abandon thinking about what you’re doing and you just do it. I think that for me looking back, the thing that was the greatest was time. The kids had time to sleep in. They had time to make their own meals if they wanted. They had time to make decisions even if it took us five hours and a family meeting and several bouts of tears. We had the time. We had the time to negotiate who was going to do what and how. We had the time to go to the beach or not go to the beach. They had time to develop relationships with me, with each other. And from that time to do all of those things, everything else came. They had time to learn, they had time to be who they were and not wait to become who they are. But they had time to do that all along. PAM: To be themselves every moment, right? ALEX: Every moment. To make mistakes, to have dreaming time. I’ve got a kid who needs oodles of dreaming time, and time for that. PAM: Wow. Well that’s spectacular. Well thank you so much Alex. I love that piece because that’s the essence of it, isn’t it? Time to live. PAM: How we can be in relationship with the people in our lives. PAM: Well thank you so much for taking the time to speak with me. It was so fun! ALEX: Yeah. It’s always great to talk to you. Always, always, always. PAM: Always. And before we go, where’s the best place for people to connect with you online? Give out your website. ALEX: Yes, my website is Alexandrapeace.com, you can go and look there. I will now promptly have to go and update it! I haven’t put many of my latest projects up there but I will. I’ll do so as soon as I can. Yeah, I have a website. I’m an Editor. I’m a Proof Reader. I’m an Indexer. I edit non-fiction. I don’t edit fiction, although I sometimes proof-read fiction. Thanks for asking! Thank you very much for asking. PAM: Thank you so much for saying yes; it was so much fun. Have a great day Alex, I’ll talk to you soon.